For me, each practice was an individual session, with no link or tie to any other training period. Every practice was enjoyable, but I didn’t see the connectedness and I certainly didn’t understand the concept of progress as an athlete. It seems silly now, but to me there were two types of paddlers on the boat, the newbies and the veterans, and I was too much of a rookie to see anything in between. So, it’s no wonder that I didn’t grasp the idea of any type of development or how to achieve it. 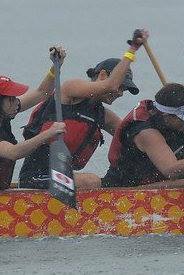 Below is a photo of me in my second race which took place approximately three weeks after I picked up a dragon boat paddle for the first time in my life. I had no idea what I was doing, but I was obviously having fun! Keeping practices compartmentalized did not benefit me one bit. But at that point in my paddling career I didn’t know any better. Sure, I wanted to become a better athlete. That’s why I showed up to nearly every practice, after all. But I didn’t see how each practice needed to build on the previous one and how, much like in school, the current day’s “lesson” should ideally expand on the previous one. My other mistake early in my paddling career was in relying solely on the coach to do the work. I don’t mean the physical work – of course I was the one who was paddling and exerting the energy. I mean that I depended on my coach to tell me what I needed to do to become a better paddler. 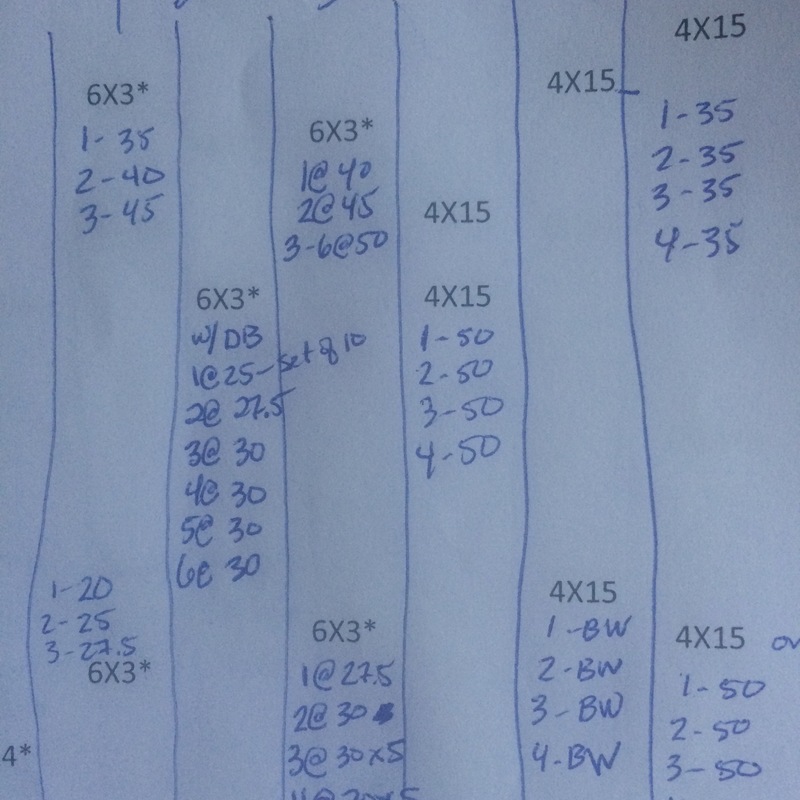 I waited for corrections, I expected my coach to point out where I needed to be stronger and what I needed to fix about my stroke and I was rarely proactive about my training. It may be my coach’s job to design the program, but it’s my job to do the work and mentally connect it. Now that I have more experience and a better understanding of athletic training and development, I see that my job as a paddler is to actively work with my coach in order to drive my growth and progress. It may be my coach’s job to design the program, but it’s my job to do the work and mentally connect it. And with that connection, I become more of an asset to my team. Yet it’s so easy to fall into the role of the passive paddler. It’s easy to let someone else be in charge of your development for the period of time that you’re on the water (or in the paddle pool or on the paddle erg, or even in the gym). But when you let someone else be in charge, your progress can only be miniscule. And then, of course, it’s just as easy to be unhappy about the results that you didn’t achieve. So, how does one take an active role in their own development? Tracking my progress in a fitness journal is an excellent way to show myself how far I’ve come. It’s also a great way to set goals and monitor my path towards achieving them. I never used to keep a workout diary. I just did a bootcamp-style workout 3-5 times a week and thought that was pretty good. In all honesty, I was intimidated by the gym, so a bootcamp-style class was in my comfort zone because I had an instructor telling me what to do. I didn’t have to worry about whether I should be working my shoulders, my quads, my abs, or whatever, and I didn’t have to worry about not knowing how to do certain exercises with the weights. I had an instructor to plan out the workout for me and I followed it like a robot. Now that I keep track of every workout, I have an excellent record to refer to. Not only do I know which weight to grab for my one-arm rows, for example, but I can also see my development over the weeks and months of our winter training. And seeing that evolution builds momentum and makes me proud of all of my hard work. When I have tangible evidence that I’m now using a dumbbell that is 15 pounds heavier than I was a short while ago, I feel a sense of satisfaction that my time spent in the gym has been productive. This is a photo of my fitness journal – I promise it makes sense to me and so I can see my progress. A fitness journal is also a great way to keep me honest. I say this for two reasons: 1) I can easily see how many times I’ve hit the gym in one week just by looking at my journal, so I can’t fool myself into thinking that I’ve made it to the gym 3 times if I really haven’t; and 2) On those days when I might not be feeling so confident and therefore might be tempted to reach for those lighter weights to do my workout, my journal reminds me of how much I really can lift and it inspires me to do as well or better. This is something I started doing formally just this season and I really find it helpful. Previously, I would spend some time after practice thinking about how my time at training went (on the water or at the paddle pool or on the paddle erg), and I would think about the things I worked on as well as the things that our coach had asked me to focus on or fix. And while thinking about these things is good, quite often they weren’t in the forefront of my mind by the next time I went to a training session a day or two later. It’s easy to forget about while going about my day to day life. 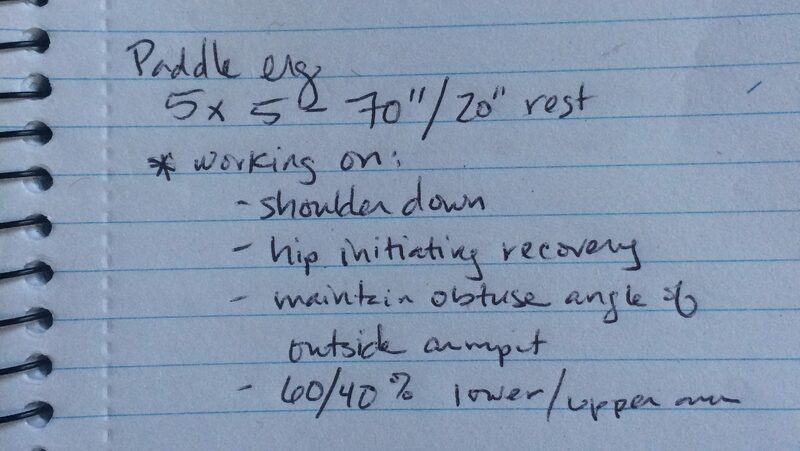 Now, I write down a short bit about what I worked on, what my focus was, or what my coach corrected in my form. And before I go to my next training session, I can remind myself what I had worked on. I have found that this really helps me connect each practice to the next. Otherwise my training seem to be disjointed and more independent of each other, which certainly isn’t the point of progressing as an athlete. Instead, we want each session to build on the previous one and develop us as a whole. If I had worked on the length of my stroke one day, for example, it’s helpful to remind myself of that fact when I head into the next practice so that I can begin the warmup with that in the forefront of my mind. Here is a photo of some of the notes I have taken after a paddle erg training session, noting down what I specifically focused on for that day. Have these two ideas been the solution to all my paddling issues? I wish I could tell you they have been. Unfortunately, just like you, I’m still diligently working on many aspects of my stroke. I’m a hopeless “over-reacher” and I’m trying hard to fix that (among other things). Just like everyone, I’m a work in progress. But these two things have helped me to make sure I put in the time and effort to actually be able to see that progress. What are some strategies that you have found helpful in your progress as a paddler?